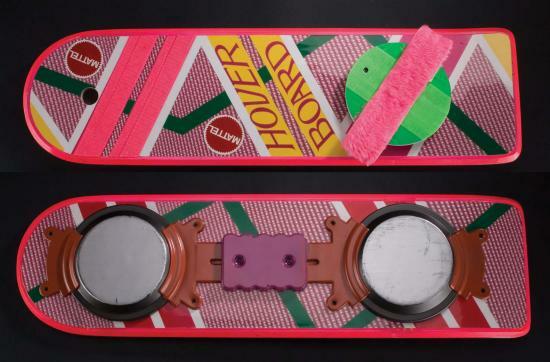 Back To The Future Hoverboard Prop Hits eBay | OhGizmo! Man, if you’re a big fan of Back to the Future, then you were probably pretty excited by the recent auction which featured a prototype Nike shoe. Another piece of movie history has popped up on the auction block, which happens to also be from the same awesome movie. This time we have the opportunity to snag one of the hoverboards that was used during filming. No, this doesn’t work, and hoverboards still aren’t real. However, this is likely one of the most realistic-looking prop that you’re going to find, as it is one of the few remaining wooden/metal props still in existence. You’re going to need some really deep pockets for this one. While the shoe fetched a handsome $5,300, bidding starts at $30,000 for the hoverboard. Bidding doesn’t start until August 1st, so there’s plenty of time to take out that third mortgage.